The Finale of Max Elite Model Look India 2018 on Saturday, October 27 at Hotel Sofitel, Mumbai. 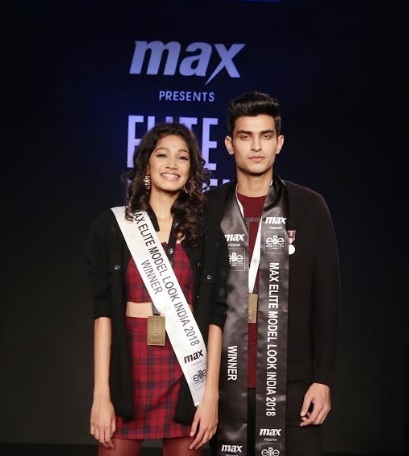 The long, relentless yet highly rewarding two months for contestants who had come from various parts of the country, came to an end with the Finale of Max Elite Model Look India 2018 on Saturday, October 27 at Hotel Sofitel, Mumbai. The winners will have the privilege of representing India in the 35th World Final to be held at Canary Islands in January 2019. The contest that is presented by country’s largest fashion brand, Max Fashion, kick-started in August this year and travelled to different cities, in search for the best talent. These cities included Mumbai, Delhi, Hyderabad and Bangalore. Out of the thousands of contenders, Elite Model Look India 2018 chose 16 finalists who were then trained and groomed by Industry experts like Mickey Mehta, Dino Morea, Clint Fernandes, Alesia Raut and Marc Robinson, who is the Licensee for Elite Model Look India. The Finale evening was attended by Mumbai’s socialites, Fashion Designers, Stylists, Bloggers and the likes. The venue was buzzing with energy and excitement. There were a total of three rounds. The first round was all about pumping up style with slogan side tape treggings and joggers, paired up with sporty crop top and cool statement tees. Round two saw models in Max Fashion’s Winter Collection that varied from biker jackets, slogan sweat tee, graphic print sweatshirts, quirky sweaters, to street style bombers with side tape detailing and badges. Third and the final round had models adorned in high street fashion with trends that amalgamates Business and leisure. It was composed of smart casual clothing in innovative fabric bases. Taking inspirations from the upbeat city culture, the range was a perfect solution for the generation that is uniquely rebellious and breaks the monotony. In-between the rounds spectacular performance by Manasi Scott kept the audience captivated. 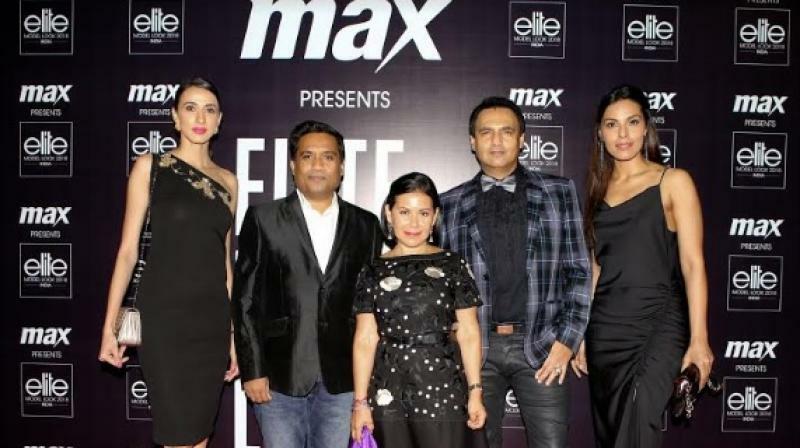 The show was judged by Alesia Raut and Deepti Gujral – Supermodels, Iris Minier – Elite World, International Scouting Director, Marc Robinson – Licensee, Elite Model Look India and Shital Mehta – Executive Director, Max Fashion. The winners will represent India at the World Finale and secure a 2-year contract with the Elite agency. Since its beginnings in 1972, Elite has elevated and maintained itself in a leading position in the global modelling industry. With over 2000 models and 210 bookers, Elite manages a network that spans the five continents, with Elite divisions in Paris, Milan, London, Amsterdam and Barcelona, and ensures worldwide coverage with The Society NY and Women Management in Paris and New York. Elite also became the first international modelling agency to expand internationally in China, managing Liu Wen and discovering Fei Fei Sun and Ming Xi, the most in-demand Asian models. Heralded as an iconic institution, Elite built its reputation by launching the careers of some of the greatest super models of the industry, among which Cindy Crawford, Claudia Schiffer, Linda Evangelista, Gisele Bündchen, Naomi Campbell, Alessandra Ambrosio, to name but a few. Today, its women’s division represents the highest-ranking faces in the industry, with names such as Adriana Lima, Liu Wen, Kendall Jenner, Fei Fei Sun, Ming Xi, Malgosia Bela, Sigrid Agren, Catherine Mc Neil, Toni Garrn, Daria Strokous, Isabeli Fontana and Natasha Poly gracing its mainboard. In the men’s division, Elite harbours a reputation of excellence with faces such as Benjamin Eidem, Florian Luger, Diego Fragoso, Richard Biedul, Tony Thornburg and Janis Ancens on the agencies’ books. It is also notably thanks to its iconic contest, Elite Model Look, that Elite World has garnered a reputation for discovering the industry’s hottest faces, with an international scouting process that continues to launch some of the careers of the world’s most recognizable faces. Today, Elite is much more than a model management company; it represents a history and a heritage of excellence. Elite continues to cultivate a forward-driven vision for innovation and individuality. To learn more, please visit www.elitemodelworld.com. Elite Model Look is the leading international model search. It is active in over 30 countries across the world, and attracts tens of thousands of entrants each year. It has discovered icons such as Cindy Crawford, Stephanie Seymour, Gisele Bündchen and top models like Ming Xi, Sigrid Agren, Constance Jablonski, Fei Fei Sun, Vittoria Ceretti, Benjamin Benedek, Matthew Bell, Serge Rigvava, and Davidson Obennebo amongst many other household names. Elite is the only model agency in the world to have such a successful scouting tool as Elite Model Look. Managed entirely in-house, it is the most influential and professionally respected contest in the industry, making Elite stand-out from the crowd. To learn more, please visit www.elitemodellook.com. Max is a leading fashion brand, now available online at MaxFashion.com and on Android & iPhone apps offering customers a one stop shop for clothing, accessories and footwear needs for the entire family. Max, a fashion brand of Landmark Group has pioneered the concept of ‘Latest fashion at great prices’ in the country, thereby offering the discerning shopper a vast choice with international fashion & quality. It offers apparel, footwear & accessories that are of the latest fashion trends. The store ambience offers an international shopping experience making shopping for the entire family an absolute delight. Globally Max has over 400 stores across 16 countries and in India, Max has more than 230 stores across 90 cities.